Hypertension expert John Flack, MD, MACP, is the recipient of the American College of Physicians Illinois Southern Chapter's highest honor: the Laureate Award. Flack, chair of the Department of Internal Medicine and director of the Hypertension Clinic at SIU Medicine, received the award on Nov. 9, 2018, at ACP Illinois' annual meeting in Peoria. 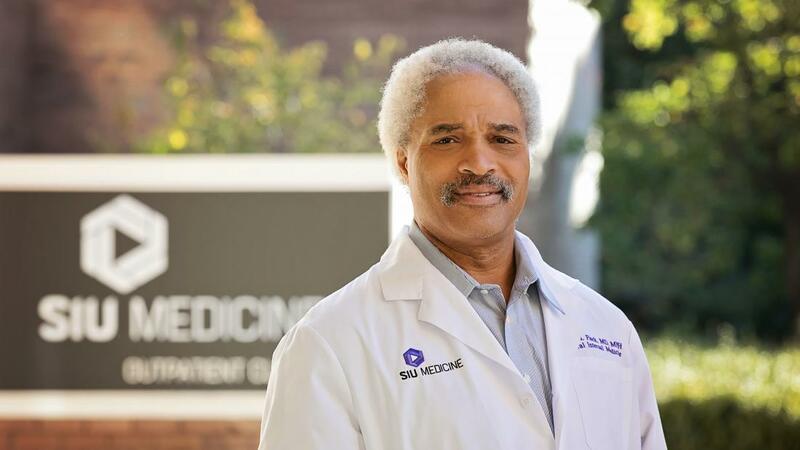 A board-certified internal medicine specialist and an American Society of Hypertension-certified Clinical Hypertension Specialist, Flack is a renowned and widely published (more than 200 peer-reviewed publications) hypertension specialist. He completed an NIH post-doctoral fellowship in cardiovascular epidemiology at the University of Minnesota School of Public Health. He received internal medicine residency training as well as his medical degree from the University of Oklahoma Health Sciences Center where he was elected to Alpha Omega Alpha (AOA) medical honor society; he also served as chief medical resident at OU. His treatment philosophy is to gradually lower blood pressure with diet (reduction in dietary sodium, moderation in alcohol intake, appropriate increase in physical activity and weight loss) with careful selection of well-tolerated antihypertensive drugs that are not only effective but safe in the combinations used. To make an appointment with Flack, call SIU Medicine at 217-545-8000.